Whenever we make a testimonial video our own clients surprise us with anecdotes and phrases to praise the service provided. For us it is a pride and an extra load of energy to continue managing your Cloud infrastructure and to be able to solve the technological challenges that we face as quickly and efficiently as possible. The managed services that we offer, in addition, can suppose a very big competitive advantage in front of having to control one’s own infrastructure. No worries about maintenance and being informed only when necessary or something that requires it is the key to focus on your own business. 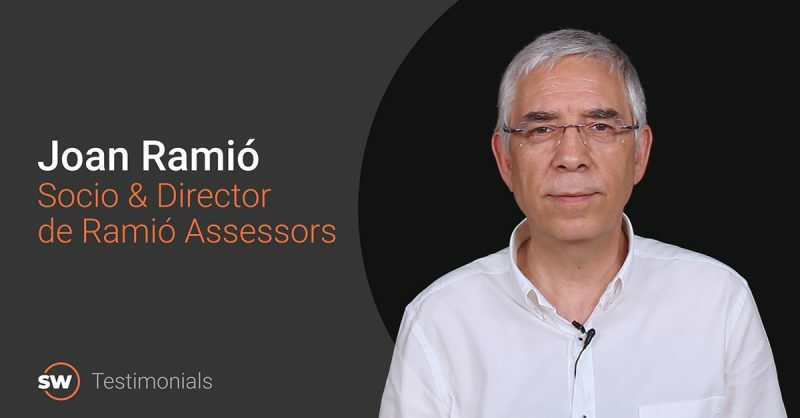 In this video, Joan Ramió, Partner and Director of Ramió Assessors, confesses that the fundamental part of our business to trust in our company as an IT partner, are precisely the people; because the tendency that is being seen lately, and the present, is to hire a service and not worry about the product, it is taken for granted. What really adds and makes a difference is the personal treatment and what you give more with the service / product. We hope you enjoyed the video and that the technology is as transparent to your business as it is to Ramió Assessors. We will continue working to make it that way for our clients, who, as we have seen, are involved, and a lot.